Information on how to access the application and upload required documents will be available at this site in early February 2019. In preparation for completing the application package, applicants are encouraged to develop their research proposal, secure a research advisor, and obtain official copies of transcripts. The applicant selects the topic to be researched with confirmed supervision by a faculty member at his or her institution. You can find a list of major research topic areas of interest by clicking this link. The Graduate Research Award Program on Public-Sector Aviation Issues will award up to 10 highly qualified applicants, selected by an ACRP panel of experts, a stipend of $12,000 each for successful completion of a research paper on a subject chosen by the candidate within the framework of the program’s purpose. Payments will be divided into four installments during the research, with the final payment contingent on completion and acceptance of the paper by the panel. In addition, awardee travel costs to present at the TRB annual conference will also be covered. The research papers produced under this program will be eligible for presentation at the Transportation Research Board’s Annual Meeting held in January 2021 in Washington, D.C. This meeting is an international meeting attracting more than 13,000 transportation leaders from the United States and abroad, representing state, local, and federal agencies as well as private consultants, educational institutions, and many other institutions sharing an interest in transportation-related issues and research findings. In addition, the highest-quality research papers will be considered for publication in an annual volume of the Transportation Research Record, a peer-reviewed journal of the Transportation Research Board of the National Academies. 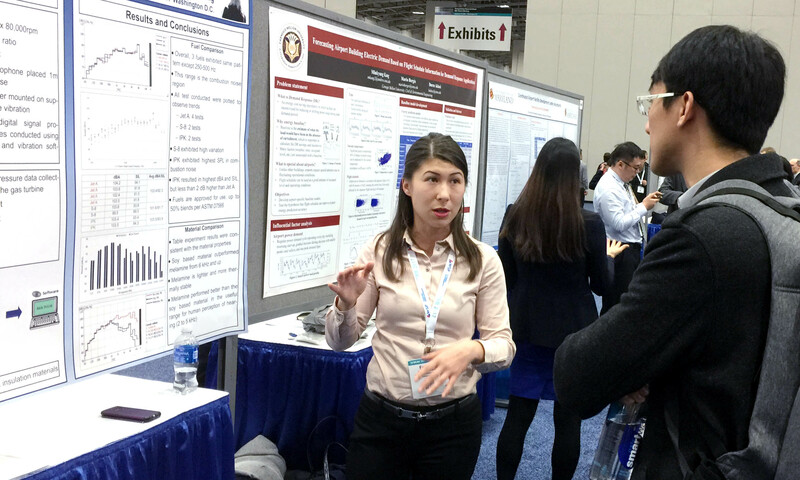 To the successful students, participation at the TRB Annual Meeting and potential publication in the Transportation Research Record together provide an opportunity to become engaged in one of the pre-eminent forums for frontline transportation leaders, practitioners, and researchers from across the United States and around the world. The Award Program will also assign individuals who will serve as mentors to each graduate researcher. Mentors will review the research approach and draft research paper and work with each researcher and faculty advisor throughout the program. These individuals will be selected by the ACRP panel of experts. The application includes a description (up to 500 words) of the proposed research project, including project objectives, research methods, and expected outcomes. Also indicate how this research could benefit the aviation community as well as contribute to your career goals. The applicant is encouraged to consult the resources offered at this website including the list of major research topics of interest, as well as access to research abstracts and reports for past award winners and up-to-date information on Transportation Research Board. Papers from the 2015-2016 academic year are about to be published: ACRP Research Results Digest 14, ACRP Research Results Digest 19, and ACRP Research Results Digest 25. Final selection of award winners will be made by a panel of distinguished experts from aviation and the academic community based on an evaluation of the applicant’s personal statement and academic qualifications, career goals, references, and significant features of the proposed research concept and plan. Award winners will be notified in August 2019 and awards will typically be administered through the university’s Sponsored Programs Office. Completed research papers will be due on August 15, 2020. Presentations at the Transportation Research Board Annual Meeting will be in January 2021, with opportunities for publication in the Transportation Research Record (the peer-reviewed journal of the Transportation Research Board) later that year. The Transportation Research Board requires first right of refusal for papers produced as part of the Graduate Research Award Program. Applicants for awards will be judged on a number of factors. They include academic qualifications (academic accomplishments, references, and experience), career goals, and proposed research (quality of concept, approach, and potential value to the public sector aviation community). Final selection of candidates for awards will be made by a distinguished panel of experts from aviation and the academic community appointed by the ACRP.